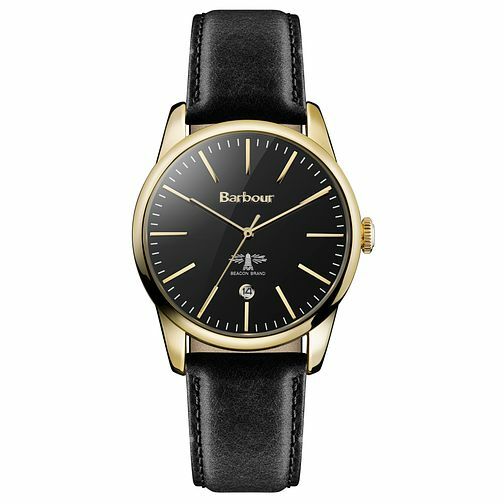 Get laidback sophistication with this slim ladies' black leather bracelet watch from Barbour. Styled with a bold black dial with sub dial. Set in a gold tone case for a simple yet stylish finish.